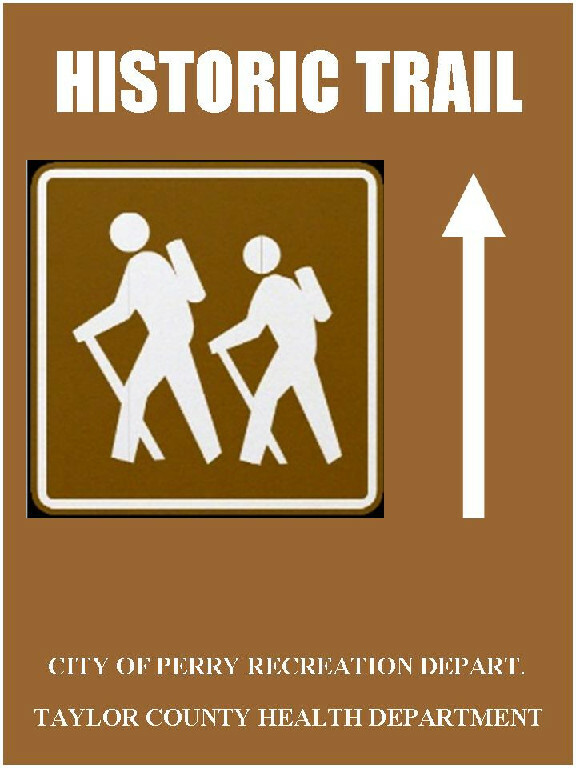 The City of Perry has established a walking tour of the City's historic downtown and in cooperation with the Taylor County Health Department has placed directional signs throughout the downtown to help guide you to points of interest. 21. LAW OFFICES OF MICHAEL A. SMITH, JR. & CONRAD BISHOP, JR.
Judge Faulkner built this structure as a home in the early 1900's. Later, it was remodeled for apartments. Presently, it is privately owned. This structure originally housed an automotive garage in the back. The jewelry store was constructed in front of the building in the 1950's. 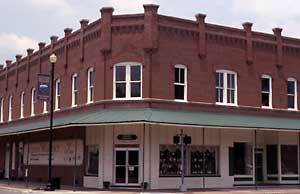 This building was established as a grocery store in the early 1900's by Mamie Joe Wilder. It later housed a florist shop and in the 1950's it was a "Five and Dime" store. The upstairs housed the law office of Don Dansby. 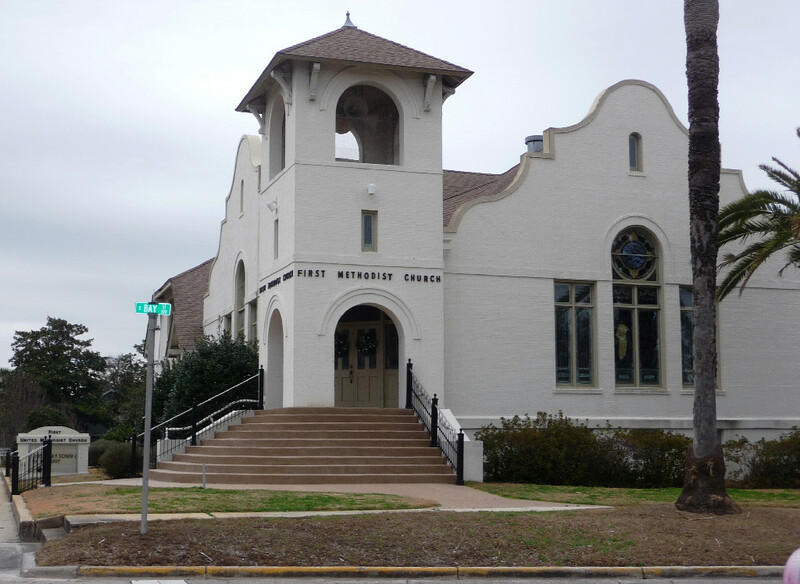 On February 26, 1905, a group of about 15 people organized the First Presbyterian Church in Perry. The sanctuary served as a place of worship until 1998. The building(s) currently houses the Beggs Funeral Home. 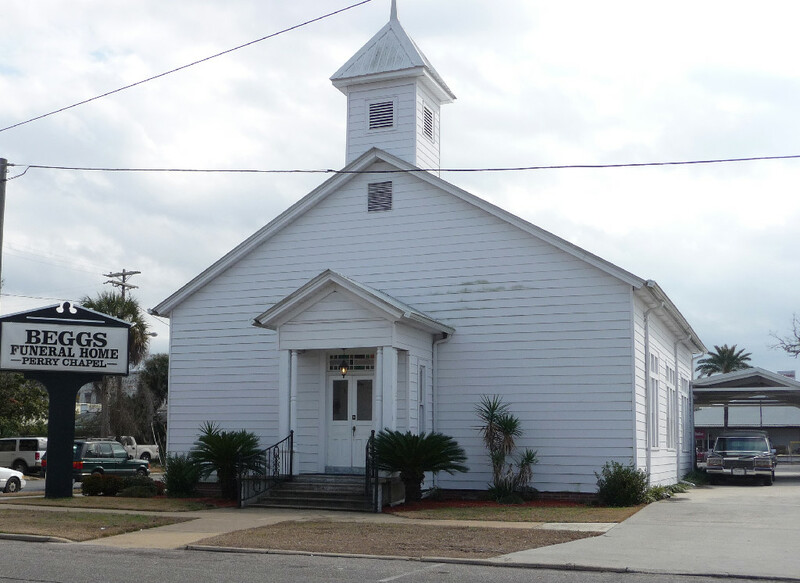 The Church location has since moved to 310 Plantation Road. This structure was built in the early 1900's. In later years, the upstairs provided office space for Attorney Byron Butler. The First Federal Bank then occupied the building for many years. 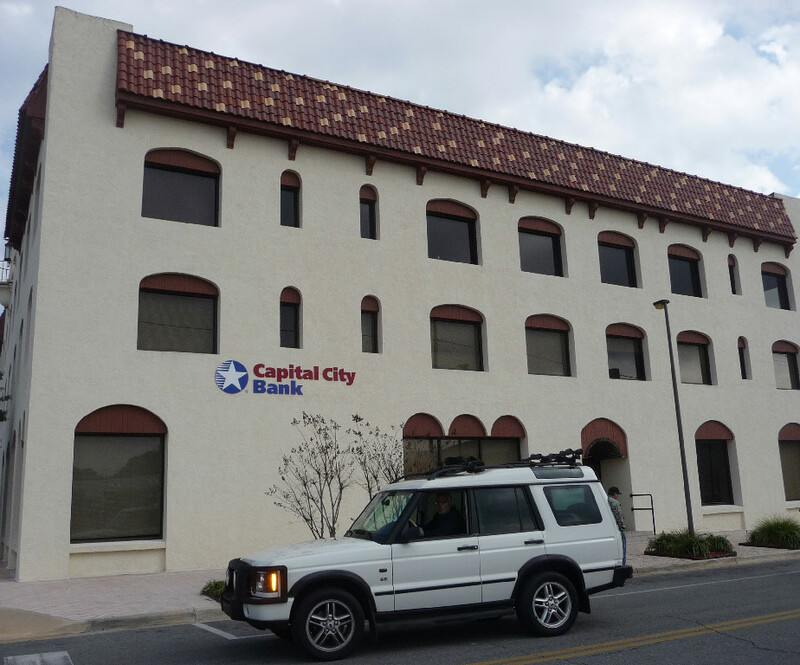 Capital City Bank currently occupies the building. This building was originally the First National Bank. The building later housed Perry's first indoor theater. The theater later moved to Main Street. This building was established in the early 1900's as the Schwartz Building. Mr. Tom Abiedo opened a grocery store here. The building later housed the Livingston Furniture Store. The Swanson Law Office was located upstairs. 8. & 9. OLD PERRY SHOE STORE. This was originally the Mantzanas Restaurant and occupied the entire building. The bus station was located in the back of the building and travelers could dine at the restaurant while waiting for the bus to arrive. 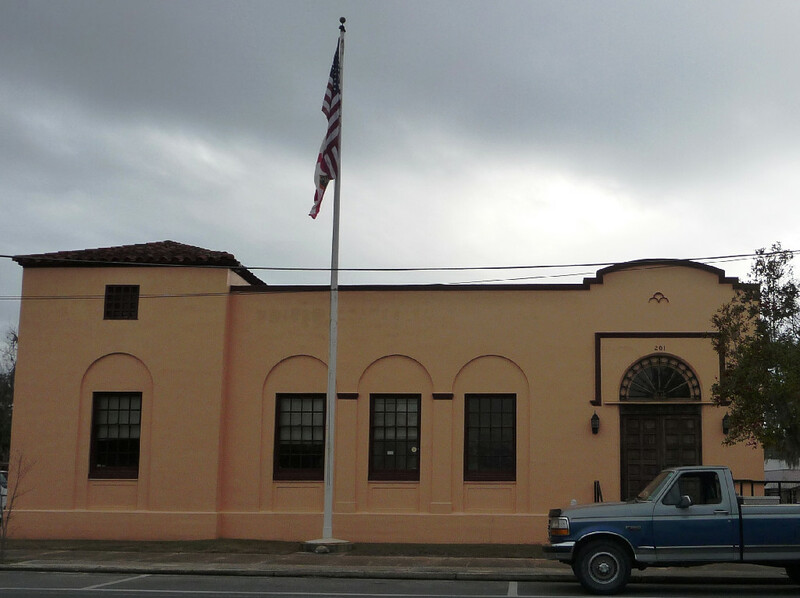 The Live Oak, Perry and Gulf (LOP&G) train depot was built about 1918. Over the many years, the depot had deteriorated. Main Street Perry, Inc. purchased the structure in 2001 and with a grant restored the roof to help preserve the building. 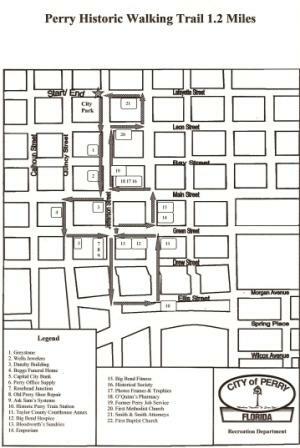 Later, Main Street approached the City to purchase the building. 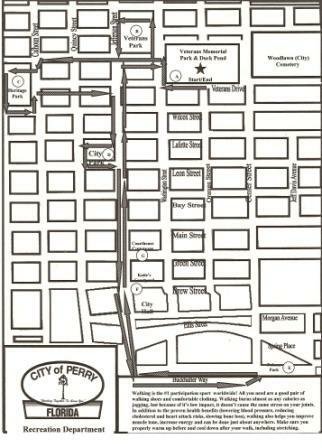 It had been the desire of the City to create a "gateway" into the downtown area with the hopes of attracting people to Perry's historic downtown. 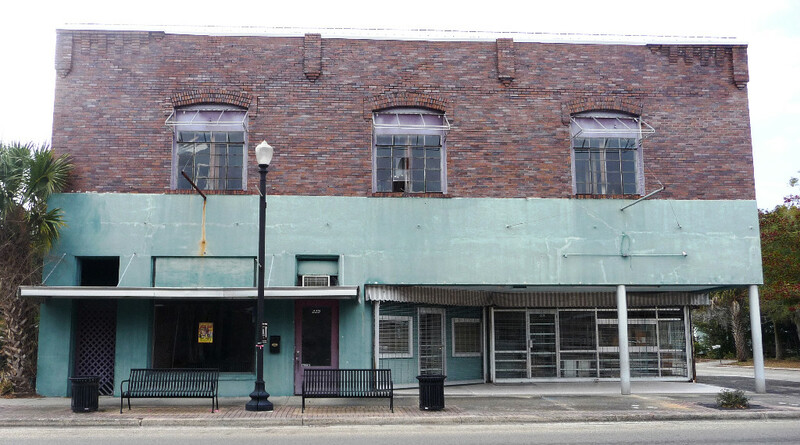 The City purchased the building and began restoration to as original as possible. The inside was divided into four retail spaces to serve as "incubator" business rentals. 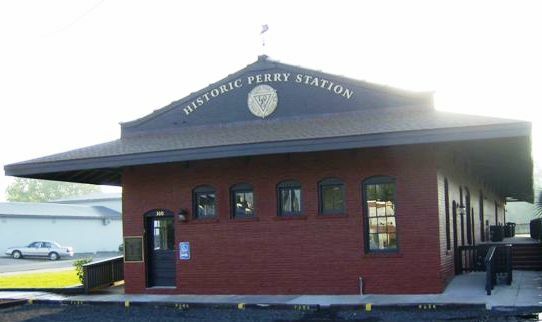 The rehabilitated train depot was dedicated as "Perry Historic Station" in 2009. This structure was built in 1935 and served as the town's United States Post Office for many years. 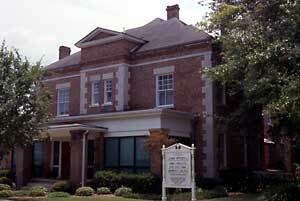 It was later purchased and used by the Taylor County School Board for its administrative offices until 1998. The building currently houses the administrative offices of Taylor County and is where the Taylor County Board of County Commissioners hold their board meetings. The structure previously located on this corner was known as the Peacock Building and housed the Emporium for many years. The upstairs housed the dental offices of Dr. Henry and Dr. Peacock. Unfortunately, it was demolished in 2008 because of safety concerns. This building once housed the Western Auto Store. Doug Powers operated the store with his on Tully and daughter Kay. For many years, Mr. Powers was one of the largest sellers of firearms in the area. This building housed the Bank of Perry in 1903 and the First National Bank from 1909 to 1930. The second floor served as law offices for W. B. Davis and Claude Pepper during the 1920's. Mr. Claude Pepper went on to represent Florida in the United States Senate from 1936 to 1951 and was elected to the House of Representatives in 1963. A plaque honoring Mr. W. T. Cash, Florida's first State Librarian, is displayed at this location. 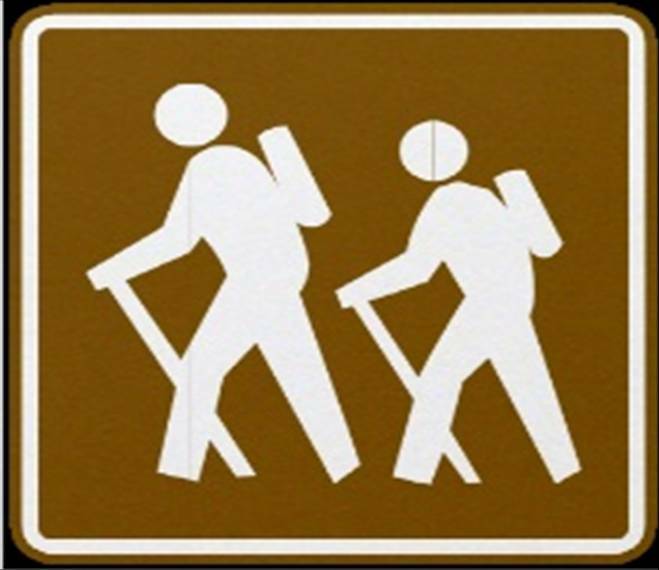 The Historical Society was formed October 18, 1971 for the purpose of bringing together people interested in Taylor County and Florida history. The Historical Society has published over a dozen local history books entitled, "They Were Here." In the early 1900's this space was the site of the local post office. Post Office employees lived upstairs. The first business opened in 1911. 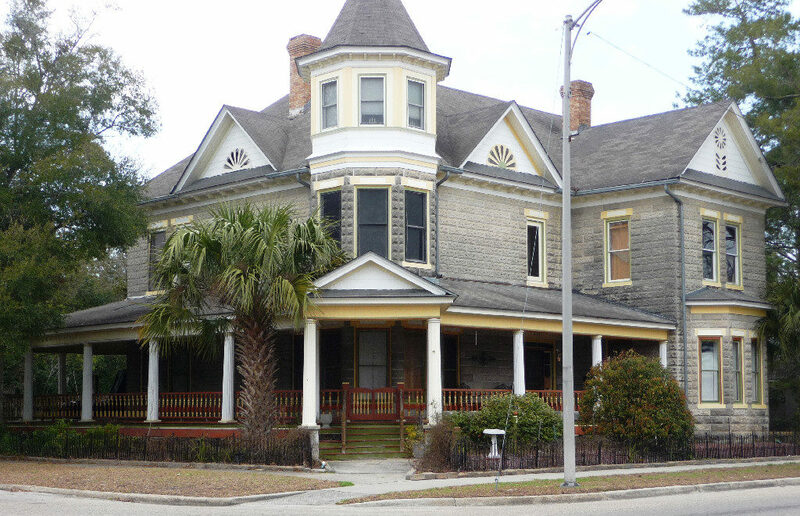 The building was sold to Daisy Jones Blair in 1928 and in 1944 was sold to O. W. Jones and Jennifer Louque. In 1950, "O'Quinn Drug Company" was sold to Henrietta O'Quinn. 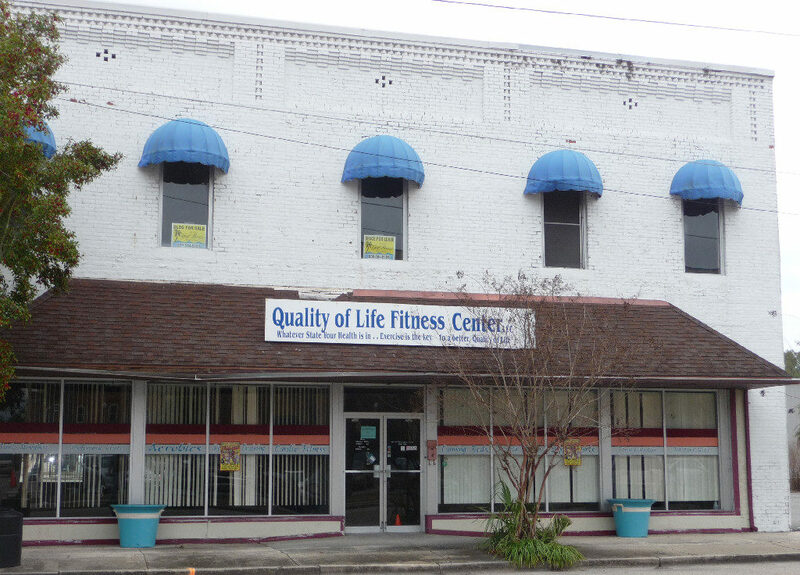 The building was sold again in 1976 to Jack Mills and Brenda Butler Wilson and the company name was changed to O'Quinn's Pharmacy. this building housed the Taylor Adult Meals Program (TAMP) for several years. Later, it housed the local employment offices. This structure traces its history to 1870 when the congregation consisted of only 17 members. They were served by the Reverend Howren Barrett as part of the Lafayette-Taylor Mission. Reverend L. B. Bridges became pastor in 1908. This building housed the County jail in 1912 and served as such until about 1958. It then served as the local library until 1974. 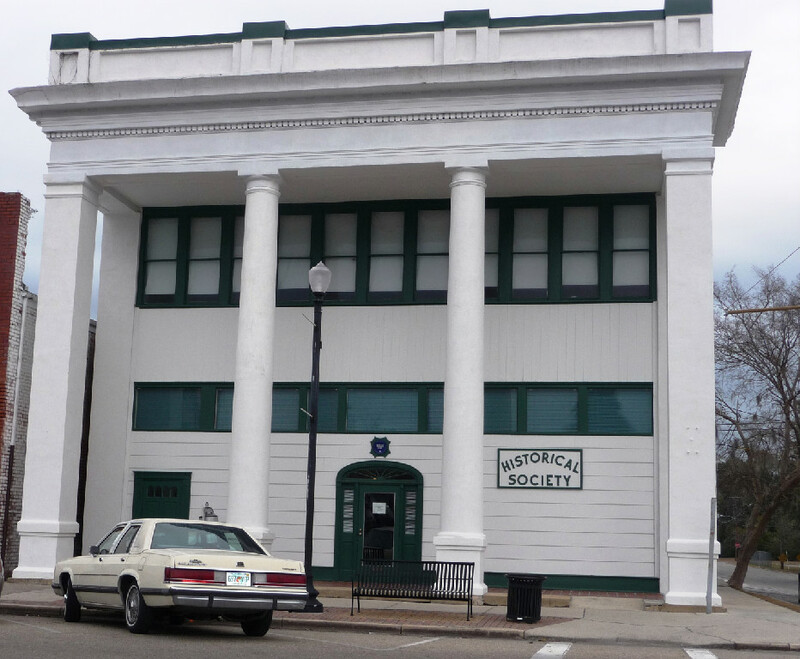 It was purchased in 1989 by Attorneys Michael A. Smith, Jr. and Conrad Bishop, Jr. and restored for use as their law offices. The building is listed on the National Register of Historic Places as being the oldest remaining public building in Taylor County. The second floor of the building is equipped with a patent "gallows" that remains to this day.